As two truly independent family owned and family run sales and lettings business’s Chris, Louise and Tom have been the backbone of Halesowen high street, believing that it is customer service that matters and local business should flourish. That is why we decided that, together, Bloore & King and Kavanagh & Co would not only strengthen that goal but actually take it to another level and thereby the idea of Bloore King & Kavanagh was born. With the combined resources of these two great independent family business’s we can now offer the kind of service that can be found lacking these days. With online only property listing business’s and local agents that are giving up on good service, we at Bloore King & Kavanagh genuinely care about our vendors, our landlords, our buyers and our tenants and our ethos is to excel and outstrip any other service available anywhere in the area. That is our strength, our promise to our customers and it is our goal for the future. Our offices located in the heart of ‘Estate Agents Row’ in Halesowen Town Centre are comfortable, modern and there are sofas and coffee on the go. Our customers can come in, sit down and relax whilst browsing our available sales and lettings properties on our 50” TV screen so that they can really get a great feel for what they are looking for. Our sales department is second to none. Our staff are fully trained, experienced and qualified and we have state of the art technology to compete with anyone anywhere in the country. Our equipment, from the SLR cameras to the floorplans, online platforms, virtual tours or drone photography can compete with the best in the business and we pride ourselves in the quality of the service we provide for our clients. You can choose from our full service, online option and we also have a modern online auction service so we are able to cover and fulfil any requirement and need. 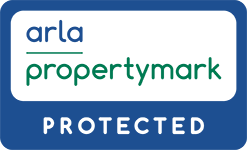 Our lettings and property management department is one of the largest and most comprehensive in the area. As with our sales department our lettings staff are highly trained, experienced and qualified and the properties benefit from exactly the same equipment and technology as in our sales department. We very much pride ourselves in the fact that every single client of Bloore King & Kavanagh is treated in the same way with the same level of service, young or old, no matter what type size or price their property may be. We want to ensure that every one of our clients is delighted with how we deal with them and that is borne out by the volume of recommendations we receive every day and the reviews we enjoy. 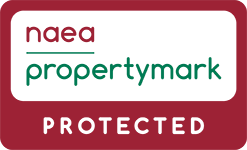 We offer everything from tenant find, online option all the way to fully managed single properties or portfolio’s and even block management therefore whether you are a single property home owner looking to rent out your own home or a multiple professional landlord we can provide the perfect service package to suit your needs.